This week's Book of the Week pick comes from Manik Katyal, curator, photo editor found and editor-in-cheif of Emaho Magazine. Katyal selected Vanishing Existence by Kosuke Okahara published by Backyard Project. The trade edition is now out-of-print. Please email us to be notified when the limited edition is available. Manik Katyal is the Founder, Curator, Photo Editor and Editor-in-Chief of Emaho Magazine — an online publication that aims to put forward emerging artists by organizing international exhibitions and workshops. Katyal is a journalist who has interviewed some of the world's renowned photographers. He was nominated for the ‘Creative Entrepreneur of 2012’ award by the British Council. Katyal was a judge at the FORMAT International Photography Festival, The Reminders Stronghold Project Grant, and FotoDoks Workshop in support of VII Photo Agency. Katyal participated for 2012 Fotovisura Grant with fellow judges from Time, New York Times, CNN, New Yorker and many others. He served on the panel for the 2013 LUCEO Student Awards and the International Photography Awards 2013. 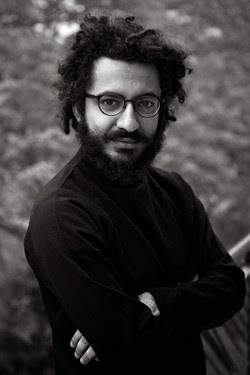 Katyal also served as a portfolio reviewer for FORMAT International Photography, Chiang Mai Documentary Arts Festival, Angkor Photo Festival, Encontros da Imagem, and Arles.